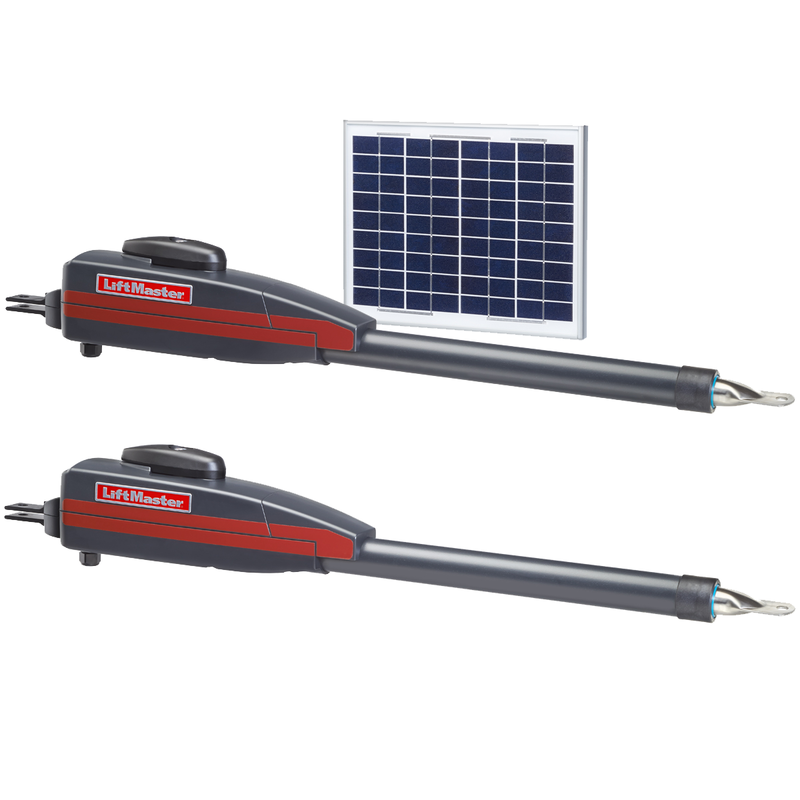 This is a LiftMaster LA412 Dual Linear Actuator Swing Gate Operator with Solar Panel. Access your property like never before. With MyQ® Technology you can monitor and control your gate from anywhere and get in quickly and securely with the built-in interference eliminating Security+ 2.0™ radio. Industry-leading power management technology delivers power when you need it most to operate your gate and minimizes power draw at all other times. Receive up to 126 days of stand by time without recharging. No other company can offer you that peace of mind.